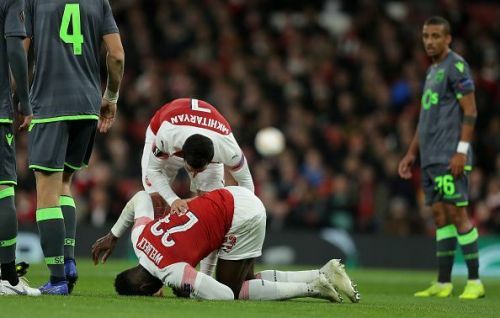 Danny Welbeck might have seen his place in the Arsenal starting XI been blocked by Lacazette and Aubameyang but he was showing signs of getting back to his groove before getting badly injured in Arsenal’s Europa League clash against Sporting Lisbon. The Englishman has been linked with a move to Crystal Palace and manager Roy Hodgson has spoken about it. The former Liverpool boss played down reports linking him to the club, stating that Palace aren’t looking for anyone specific at this point in time. "Like all clubs in the Premier League, we are all constantly assessing and looking at players, so that when the day comes, if there is a vacancy and if there is money to spend, you know where to go,” he was quoted as saying.